Interlaken, 27 June 2018. The sun is rising, I am standing on the balcony of the Victoria-Jungfrau Hotel, enjoying the wonderful view. 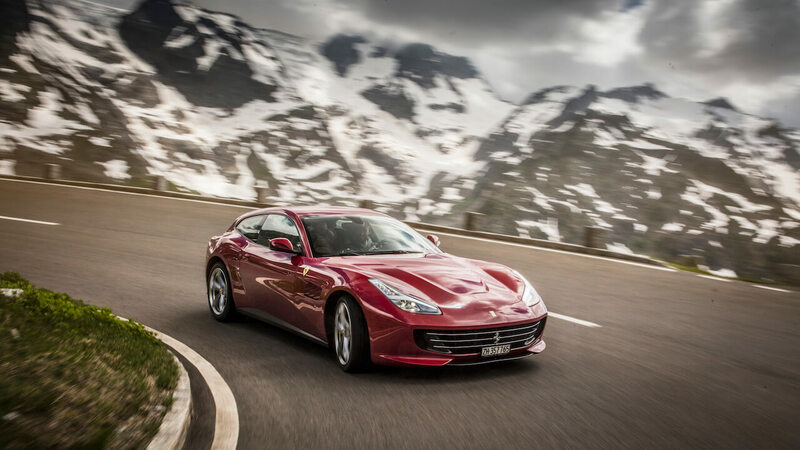 In a few hours, I’m off to chase the Ferrari GTC4Lusso – which was presented at the Geneva Motor Show in 2016 – over 3 mountain passes. 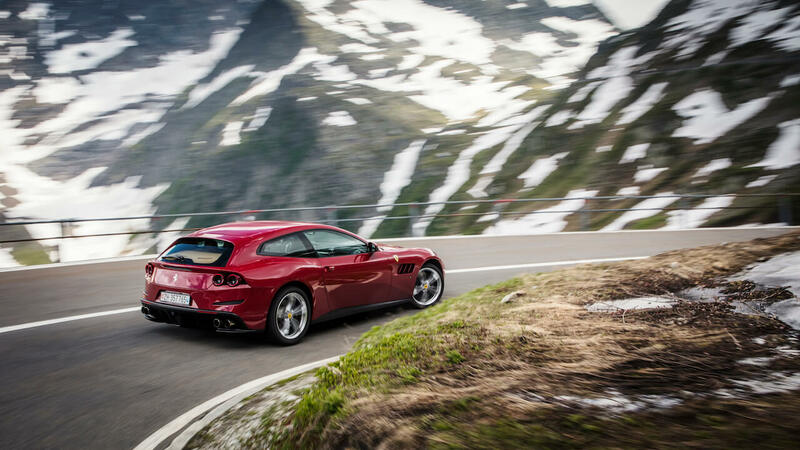 Before we go on, let’s have a look at the terms and where in the series the GT4Lusso takes place. ‘GTC’ stands for ‘Gran Turismo Coupé’, the 4 for the number of seats. The attractive Italian is a typical ‘Shooting Brake’, a coupé with a hatchback that looks more like a station wagon than a saloon. 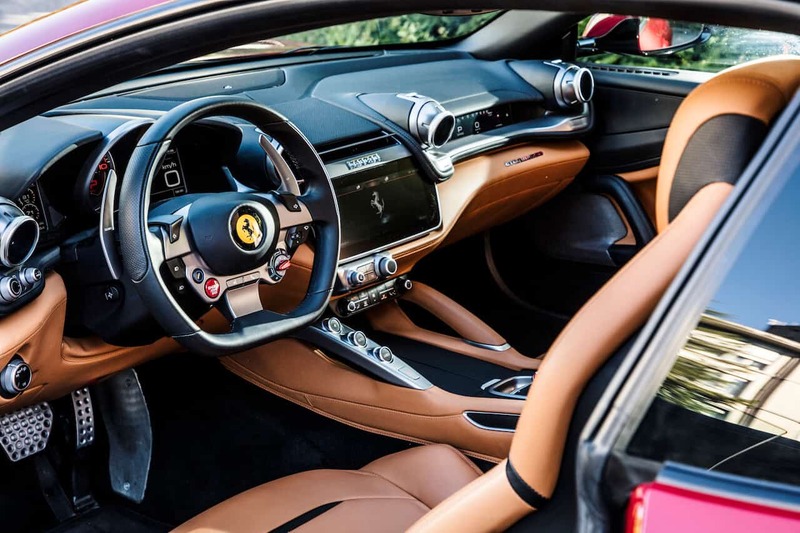 If you take a closer look at the Ferrari GTC4Lusso, it becomes clear which target group is addressed here: an ideal vehicle for business people who cover longer distances – they appreciate attributes such as comfort, power, space while sitting in a really attracting Ferrari. 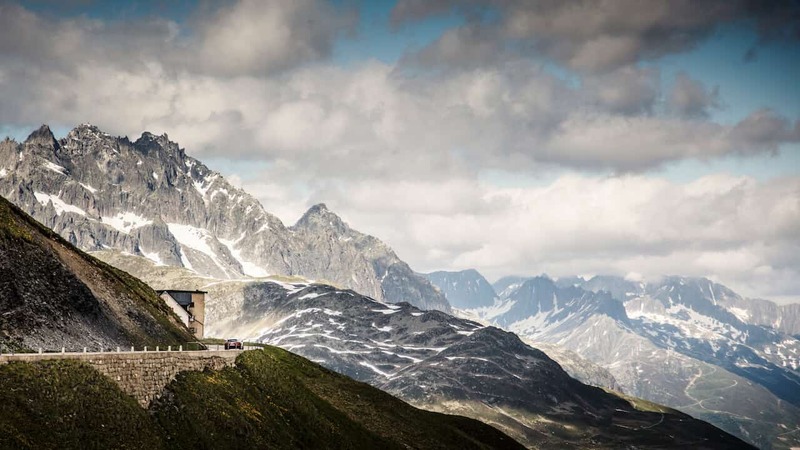 In summer, it is a lot of fun, thanks to the ingenious 4×4 it is quite conceivable to spend a ski week-end with your partner in the mountains. 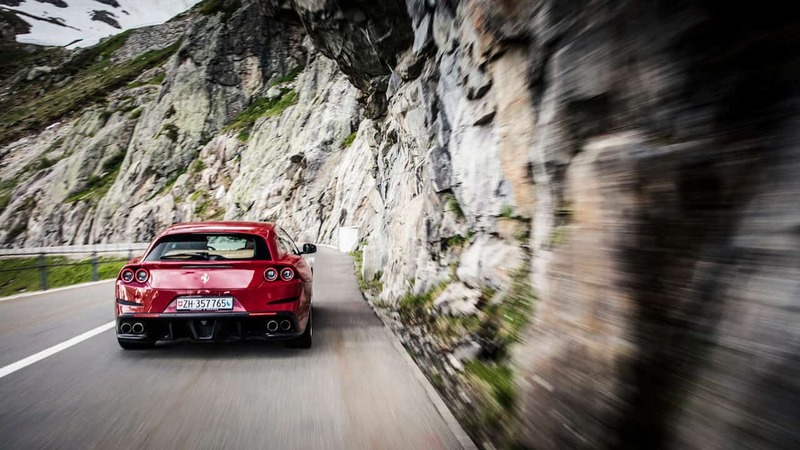 Back to the story: we set out for the Susten Pass to give the 690 horses some exercise. 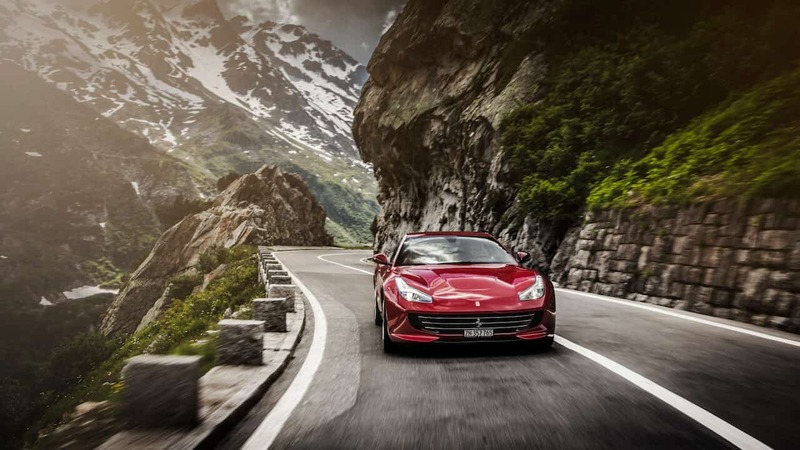 The Ferrari GTC4Lusso is powered by a 6 litre V12 naturally aspirated engine, which generates 690 hp and 697 Nm of torque. It sprints from 0-100 km/h in 3.4 seconds and 0-200 km/h in 10.5 – an impressive mark. The first thing you notice is that you can easily glide through the 30 km/h zone in 5th or even 6th gear. The sound is also convenient in comfort mode – a perfect match for the Grand Touring theme. 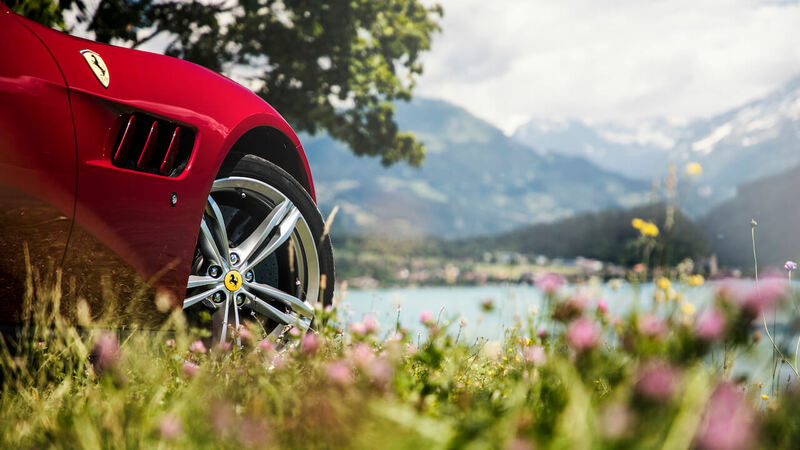 All in all, the Ferrari GTC4Lusso drives very smoothly and comfortably, uneven roads are hardly noticeable. But if you want to drive a bit more sporty, there are different modes available which provide a lot of driving fun and an unbelievable exhaust noise. The improved all-wheel drive is more precise than before, especially the control of the torque on the front axle has been improved – ‘Torque Vectoring’ ensures that the torque is distributed faster and better to the front axle. The result is an improvement in the individual response of the two front wheels when cornering, which leads to an increase in efficiency in torque output. 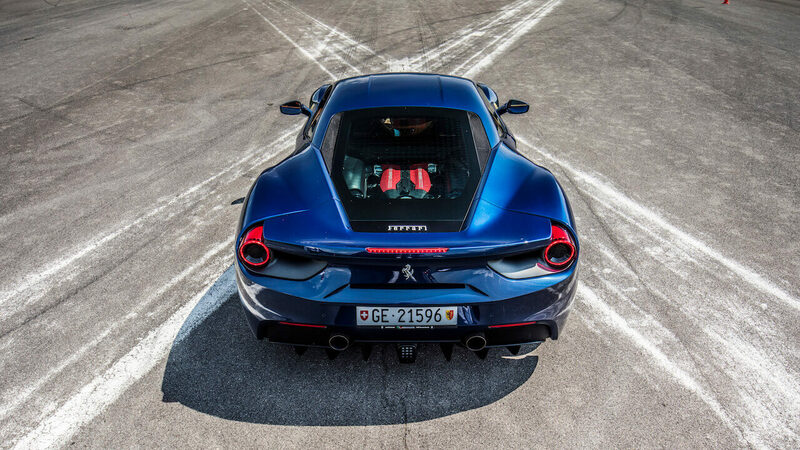 Ferrari uses a power transfer unit that uniquely combines four-wheel drive with 47% front and 53% rear weight distribution. In addition, the system weighs just 50% of what conventional all-wheel drive systems weigh. 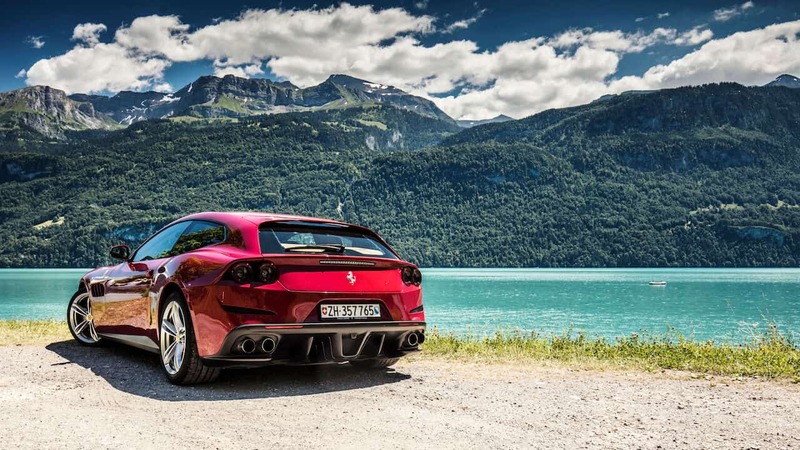 In terms of looks, this shooting brake looks relatively large – the front of the vehicle is dominated by a single, large radiator grille, while the rear with muscular shoulders and double lights give it a sporty design. 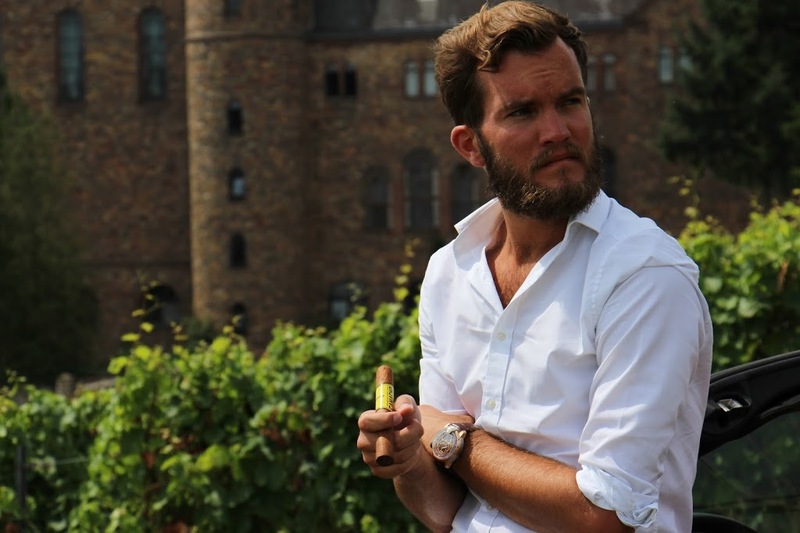 Pretty impressive, that we are talking about a dry weight of 1790 kg – I somehow expected more. There was no lack of comfort, I had no problems with my size (1.94m), you can also find a good seat in the back. 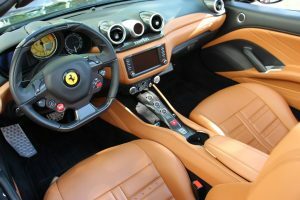 Compared to its predecessors, there have been some improvements in the interior – I was able to connect my smartphone relatively quickly and without any problems. It should also be mentioned that some controls are still too complicated and some details unfortunately still look a bit common (look and quality of the buttons). A fantastic and convincing shooting brake. Summarized in one sentence: It manages the gap between sportiness and Grand Touring with top marks. 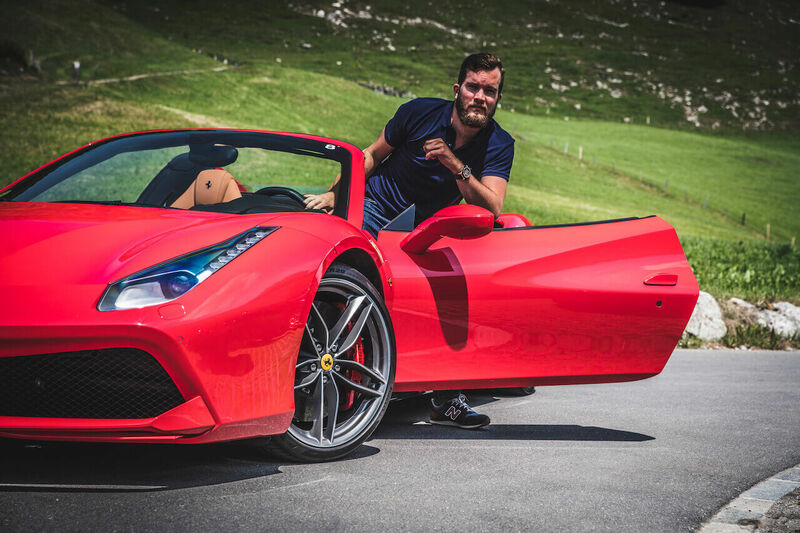 Few days ago, I joined the Ferrari team to drive the Ferrari 488 GTB. Interestingly, I just drove the Ferrari 458 Spider before – a great opportunity to compare the two models. 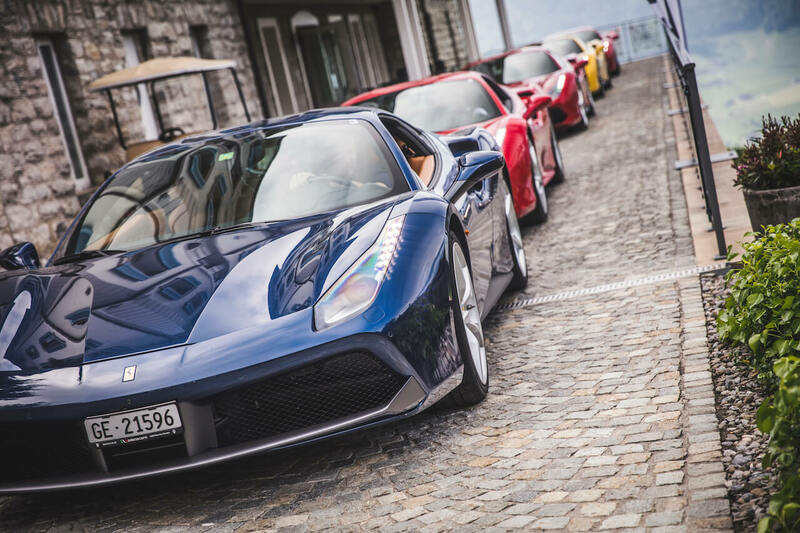 The Italian supercar manufacturer is all about passion and excitement. I’m pretty sure it’s the first brand name every kid knows – there is so much fascination and honestly, I’m also in love with most of their models. 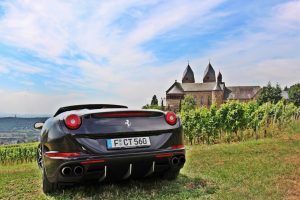 Ferrari 488 GTB – What does it actually mean? GTB stands for Gran Turismo Berlinetta, it’s the successor of the Ferrari 458. 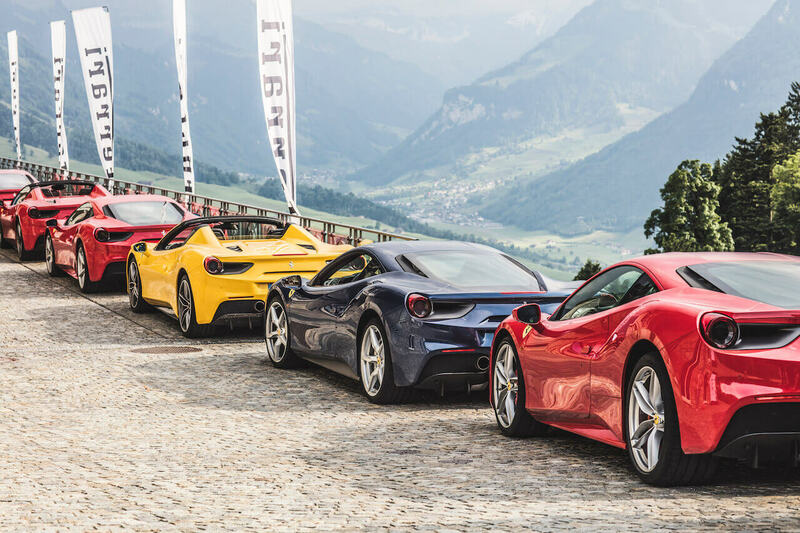 The 488 GTB not only delivers unparalleled performance, it also makes that extreme power exploitable and controllable to an unprecedented level even by less expert drivers. So, I assume it’s quicker than the 458? The Ferrari 488 GTB runs from 0 – 100 km/h within 3.0 seconds and 0 – 200 within 8.3 seconds with a dry weight of 1370 kg. Really impressive and in many ways: scary numbers. My humble opinion? 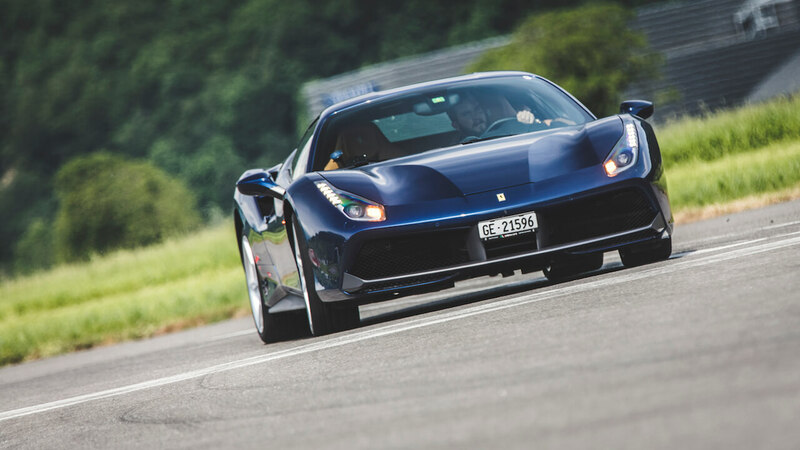 The Ferrari 488 GTB looks tremendously good and handles in beast-mode. 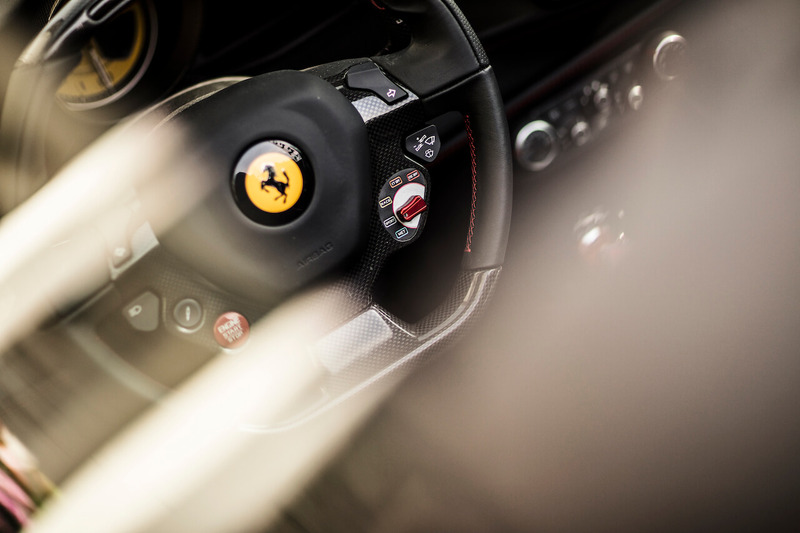 Considering you’re driving a Ferrari, the 488 feels a bit less complicated than other models. How can I differentiate it from the Ferrari 458? The 488 GTB is slightly larger (4,1 longer & 1,5 wider), aerodynamics have been improved & the front is characterised by the dual grille opening which channels air into the two radiators. There is also a double front spoiler which, on close inspection, looks very like those of the F1 single-seaters. I have to admit, I expected a bit more here. I hoped they improved the interior, but that’s simply not the case. The radio, its sat-nav and the buttons still look and feel like you sit in a Fiat. I’d expect a bit more these prices. Talking about the price, how much is it? The term ‘Spider’ or ‘Spyder’ (dependent what brand you’re driving) means you’re driving a convertible car. So, did it beat my experience with the 458? Yeah absolutely, the 488 GTB is a change for the better. It’s much more powerful, agile and responsive. Another car on my bucket list. https://agentlemans.world/wp-content/uploads/2017/07/Ferrari-488-GTB.jpg 720 1280 Ralph Widmer //media.agentlemans.world/2017/01/agw-logo-605.png Ralph Widmer2017-07-03 10:39:002018-07-18 17:08:48Ferrari 488 GTB - Did It Beat My 458 Experience? When it comes to passion, designed and invented by the Italians – we’re reaching the highest perceptions. 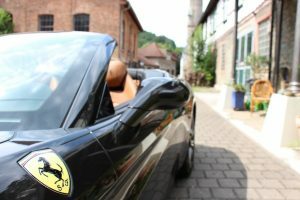 Designed by the great genius – Enzo Ferrari – these magnificant cars are just too powerful to be true. But let’s talk about it later. 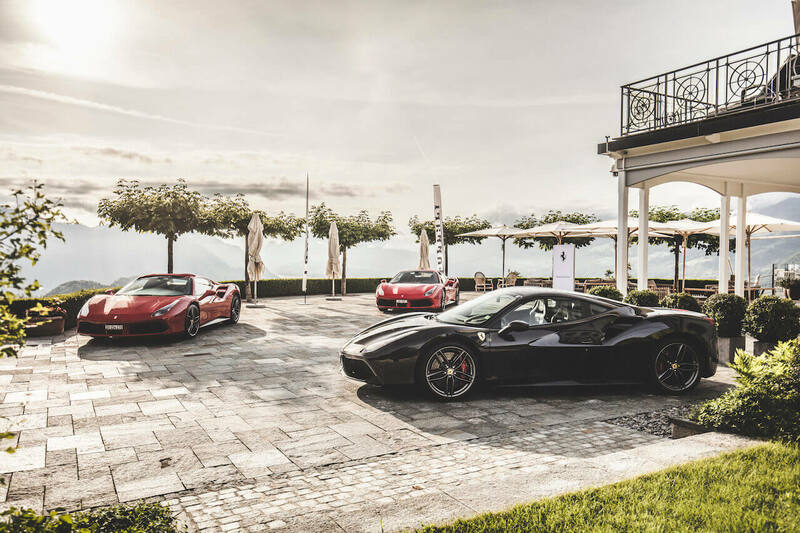 Ferrari is one of the boy dreams we all have. 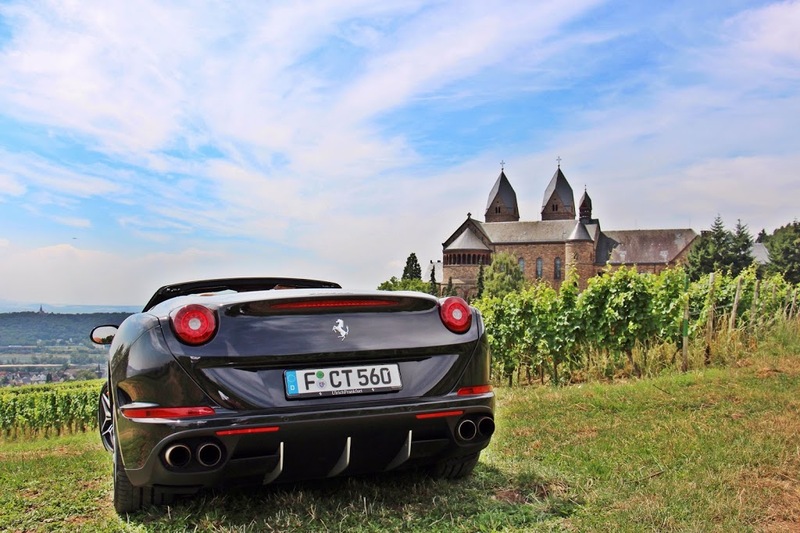 Driving the California T along the beautiful area of Frankfurt was simply amazing. The landscape comes up with beautiful castles, impressive architecture, endless hills and lakes. My favourite part of the California T is definitely the rear. It appears extremely masculine and powerful with it’s double exhaust. 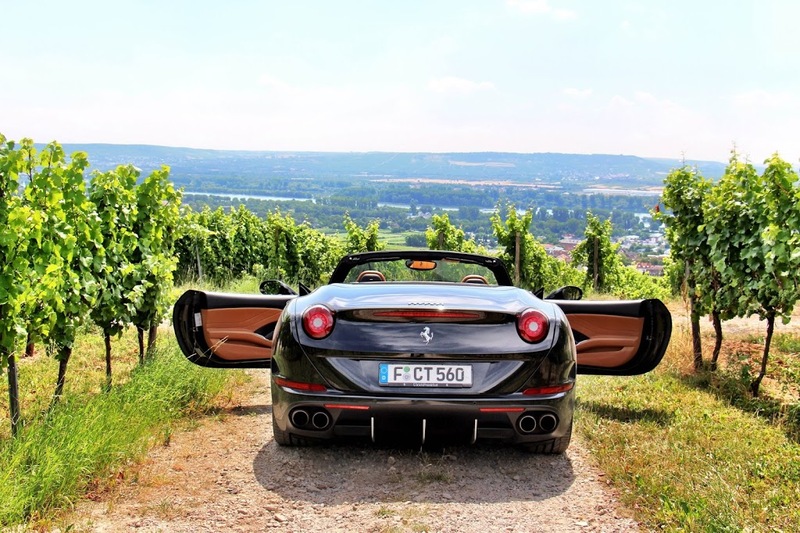 The new model of the Ferrari California T has been completely re- invented and desiged. The brand changed pretty much everything except for the roof. The engine has been revised, an angry V8 Bi-Turbo with a direct injection fires the new California T from 0 – 100 in just 3,6 seconds. 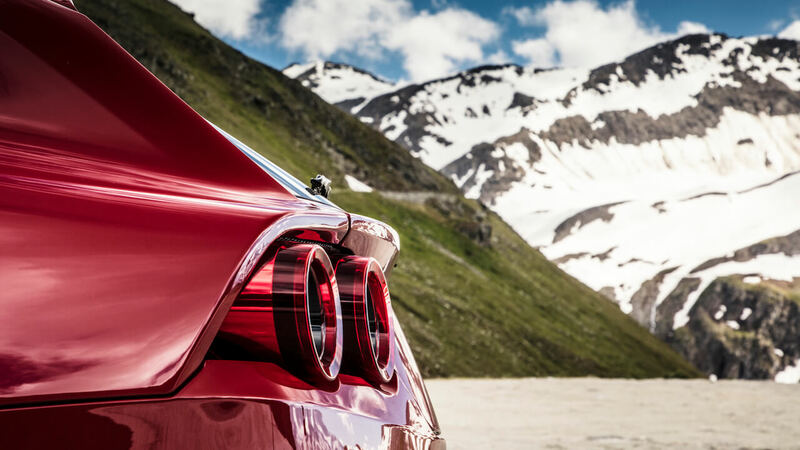 The new Ferrari engine technology has absolutely no turbo lag, meaning you never miss power. Never. 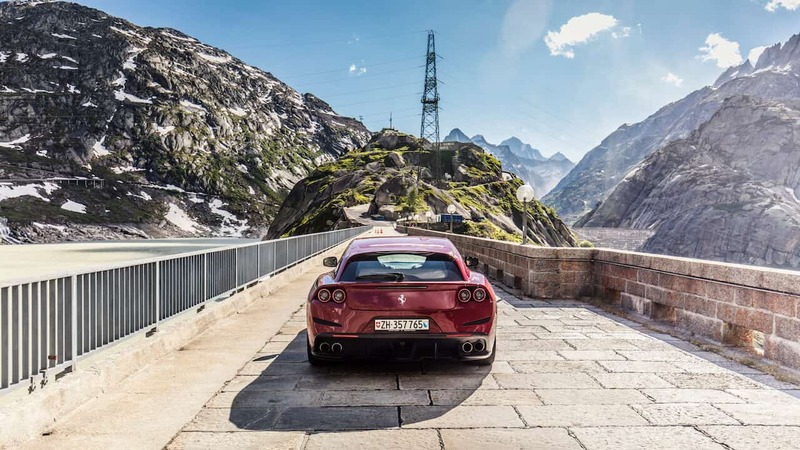 Even if you push the throttle in 5th gear on the motorway you have full torque.Over the history of the brand, Ferrari has managed to increase the power of their cars, whilst the consumption has been reduced by 50%. Another impressive fact and proof that only the best engineers are working on this technology. 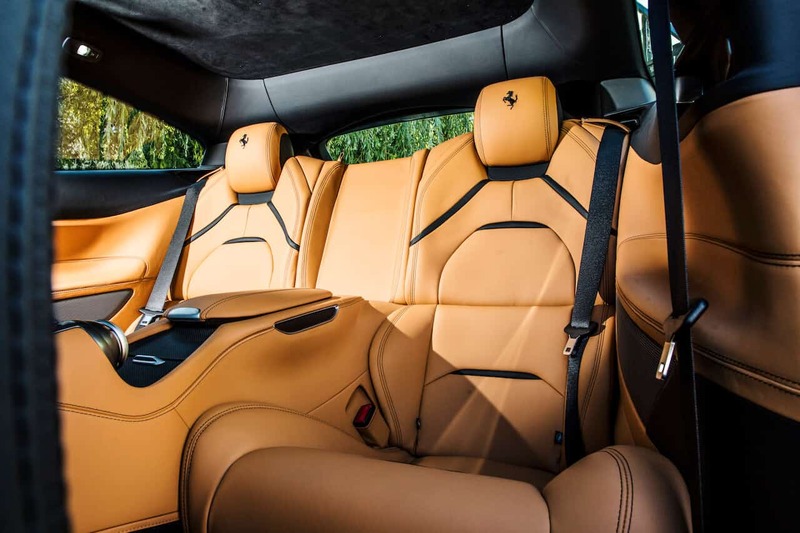 In the interior, Ferrari still follows their traditional line. The steering wheel has all the familiar buttons. If you’re not used to this, it might be a bit confusing (the indicator is on the steering wheel).The rest is what you look for from such a high-class car. Beautiful brown leather, solid materials and last but not least the powerful yellow logo & speedo. 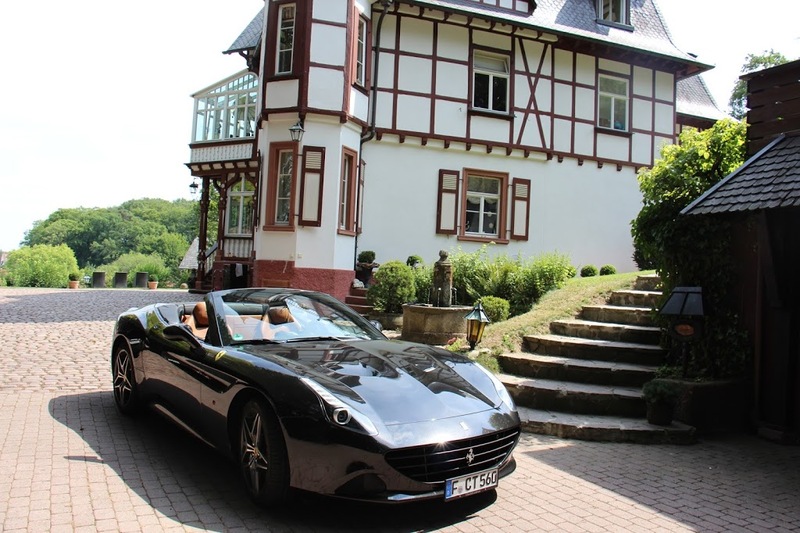 What a match, parking this brilliant designed California T in front of a German villa. Good motivation to achieve your goals. Another evidence how lovely this lines of this car have been desiged. During my break I thought about what makes this car, the perfect car for a gentleman. It is super powerful, extraordinary fast and the design by Pininfarina is just unrivaled. The hard top roof can be flapped down within 14 seconds. And even after, there is still space in the boot. It is the most sold Ferrari, and just mass taylored for the every day use. I hope I will be able to drive it along the coast in California one day.